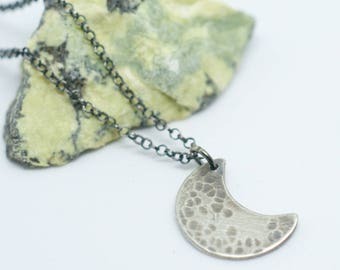 A simple but dynamic design of a crescent moon, hand cut from 0.5 mm sheet copper, hammered for strength and texture and then bathed in fire for a subtle rainbow patina. 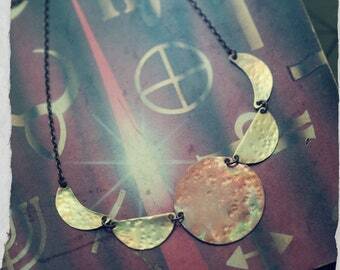 The perfect accompaniment to a number of my moon inspired necklaces. 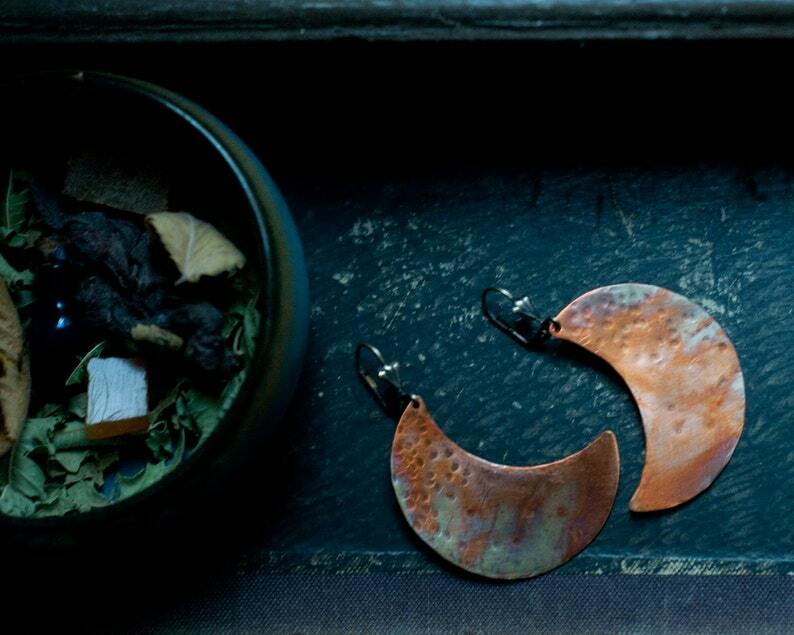 The ear wires are oxidised brass lever arch hooks. 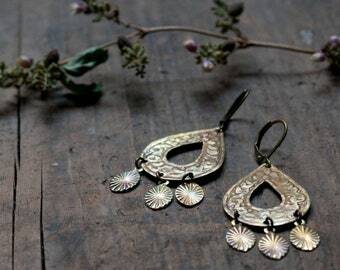 I adore these earrings. They are just the right size to make a statement without being huge. The colour is divine and they are a joy to look at and have on. 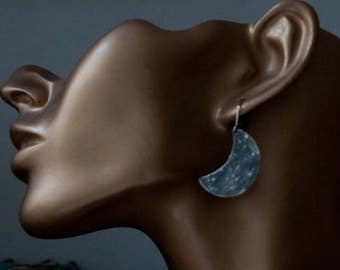 I am wearing them every day! Thank you.